Due to the physical forces at work, whenever struck by any kind of motor vehicle, pedestrians typically suffer the most severe injuries, or even death. According to the National Highway Traffic Safety Administration, approximately 4,884 pedestrians were killed (making up to 15% of all traffic fatalities) and 65,000 pedestrians suffered injuries in US traffic accidents in 2014. Worst of all, almost half of pedestrian fatalities occur between 3 and 4 in the afternoon, just as school children are making their way home. If you or a loved one has been seriously injured in a pedestrian accident, you could have questions regarding the extent of your rights and the compensations you may file for. 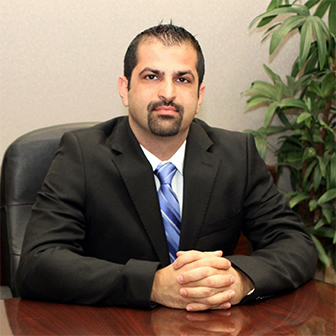 By seeking the answers to these questions at the Law Offices of Michael Rabban, you can be certain that you will get the best advice from a law firm that is highly experienced with pedestrian injuries. Pedestrian accidents are often unique cases, involving pedestrians or joggers struck at a crosswalk, hit while in a parking lot, while exiting a car or a bus or simply injured or killed by a driver who is at fault. Drivers are often inattentive to the presence of pedestrians around them and fail to keep the location of pedestrians in mind while driving. The result of any impact in such an accident is devastating. Autos, trucks and even motorcycles can very easily leave a pedestrian physically disabled and completely incapableof providing for themselves or their loved ones. Californian law almost always gives pedestrians the “right of way” in such situations and it is assumed that the motorist is the one with the “last clear chance” to prevent any accident. These two legal concepts form the core of Auto v. Pedestrian collision cases and our attorneys are experts in applying them to your case in order to ensure you receive the maximum compensation for any injuries you may have suffered. 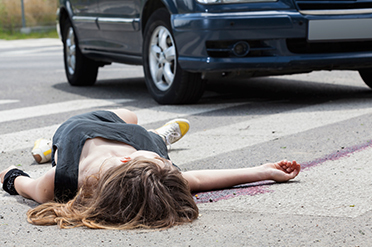 Most pedestrian accidents, however, come as a result of negligence on the part of the motor vehicle’s driver. They often result in catastrophic injuries such as brain injuries, spinal cord injuries, broken bones and paralysis.In the cases where recovery is possible at all, it can be a long, expensive process that can leave the injured party unable to provide for themselves or their families for months. Worse yet, despite drivers being required to have insurance, many of them only purchase the minimum required by law, totaling to $15,000 per person injured and only $30,000 per accident, regardless of the number of injured people. Considering the significant injuries caused by such accidents, these sums will not be enough to cover medical expenses, making the presence of an experienced attorney even more important in order to ensure that your rights are protected and that you are adequately compensated for the damage. It is important to keep in mind that, while you do have right-of-way when crossing streets, you cannot simply cross a street anywhere. With traffic always moving, crossing a street in an unsafe place can lead to serious injury or even death. Such accidents happen every day, remember to look both ways when crossing the road and always keep a look out for traffic signals. Inattention remains the leading cause of pedestrians causing accidents and is most common in children who run into the street chasing toys or pets. In California, a pedestrian who is hit in accident, but contributed to the accident taking place by being negligent, is still eligible to recover some damages. This is known as contributory negligence. When this is the case, the pedestrian can still recover certain damages from the driver, albeit with some limitations.